We went to visit my Dad this weekend. He's just turned 75 AND had his knee replaced in the past week! Of course he is looking rather tired but doing very well. It goes without saying that I took a few photos. But when I got them home I was struck by some family resemblances. Do you see them? 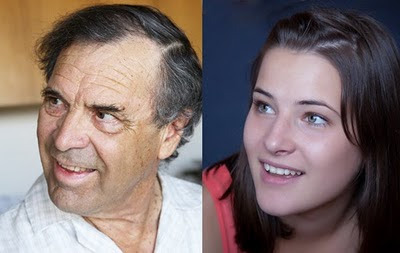 Dad yesterday and my daughter last week. 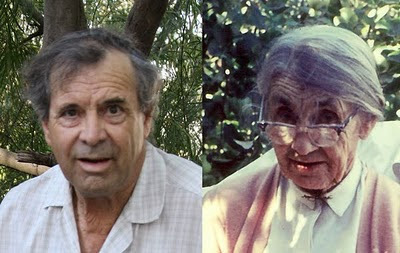 Dad yesterday and his grandmother (in 1962, aged 88).This was not the best shot of him, and it seems unfair to compare him to his grandmother who was another 13 years older but there are certain family traits that run strongly!! 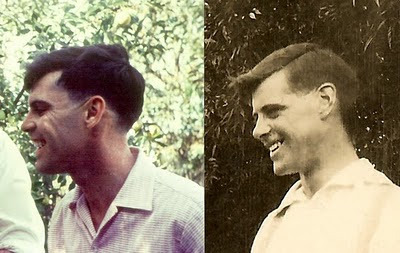 Or what about this one of my Dad from that 1962 photo and his father in 1929. 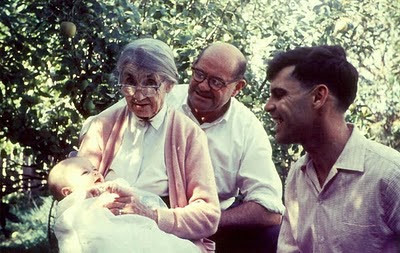 Here's the complete photo from 1962 with me, dad, his father and grandmother. These old photos are so precious! I love studying them!! Gosh Esther, I've never done that before, I must get my photos out too. I'm particularly struck by your dad in 1962 and his dad in 1929. That's amazing. It's wonderful to have these precious photos. Definitely a resemblance. I wish I had photos to compare for my girls... The one of your Dad and his father is uncanny. And thanks for the message on my blog! Enjoy the rest of your week. How fun! It is great to look at family photos and see how certain traits are carried on. You are fortunate to have access to those older pictures...there are treasures! Wow! That's pretty amazing really. I'm impressed with how you found the same poses!